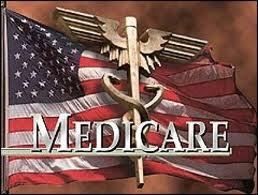 Update 10/9/12: I found a very good site that does a great job of explaining Medicare. It’s directed to “seniors” but all ESRD patients will eventually be on Medicare if you aren’t already. SeniorCorps.org Also, the National Kidney Foundation has begun a magazine called Kidney Living. Subscribe today at their website. You might have noticed all the ads recently about Medicare Supplemental Insurance. The reason is that the sign up period is between October and December for the 2013 calendar year. Supplemental Insurance usually pays the 20% and co-pays that Medicare doesn’t cover. Now back to Dialysis and Medicare. For dialysis patients, our healthcare and coverage is extremely important. If you have private insurance when you begin dialysis, that will continue for 30 months then it is converted to Medicare so anything that may effect Medicare will effect all of us eventually. Prior to the 30 month conversion you can remain on private pay insurance which I posted about in “Dialysis and the Money“. Beginning on day one, you are eligible for Medicare and it will begin paying costs after a three month waiting period. For the private pay patient this means, you can get Medicare to cover the co-pay that the private pay doesn’t cover and, as most private insurance plans have a 20% co-pay, that can mean several hundred dollars a month for a dialysis patient. Having Medicare cover the co-pays and deductibles for private insurance at about a hundred dollars a month means a net savings to you. Once you convert after the 30 months, Medicare will be your primary and you can continue the private insurance as secondary to pay for what Medicare doesn’t (Medicare only covers 80% of the costs, so again, you are stuck with a 20% co-pay). If you’re working and on dialysis, you can continue your private insurance as the secondary to Medicare for the first 30 months after you start dialysis. On the official Medicare website there’s a question about Medicare eligibility if you’re still working and covered by private insurance. The answer is basically you are eligible for medicare as a secondary insurance to the private insurance. All ESRD patients are eligible for Medicare IF you paid into Medicare while you were working. (If you didn’t pay into Medicare, you can still get coverage from Medicare through Medicaid but it requires income and resource means tests.) You need to apply for Medicare Parts A and B by visiting your local Social Security office or by calling Social Security at 1-800-772-1213. TTY users should call 1-800-325-0778. You can also apply on-line. your dialysis treatments. Medicare coverage can start as early as the first month of dialysis if you meet all of the following conditions: a) You take part in a home dialysis training program offered by a Medicare-approved training facility to teach you how to give yourself dialysis treatments at home or; b) Your doctor expects you to finish training and be able to do your own dialysis treatments. Medicare Part A covers hospitalization and costs. Part B covers out-patient and physician costs. Part A doesn’t have a monthly premium because you paid into the hospitalization plan when you worked. Part B covers out-patient costs and has a monthly premium of $99.90 for 2012. (This will probably increase for 2013.) For dialysis, you need to have Part B. If you need help paying the Part B premium, there are resources that can assist you like the American Kidney Fund. Contact your Social Worker for more information about that and others. That’s about it for Dialysis and Medicare. You may already know most of this if you’ve been on dialysis for a while but I want to make sure everyone is informed about it because, as I explained, my center’s Social Worker didn’t tell me. I didn’t find out about it until I was over two years into dialysis. This information would have saved me a huge amount of worrying and concern about paying the several thousand dollars in co-pay and deductible not covered by my private insurance. This entry was posted in dialysis, disability, ESRD, Medicare, New Patient, Social Work and tagged dialysis, education, ESRD, hemodialysis, kidney, medical, Medicare, patient, social work. Bookmark the permalink.